Slur control points - now when a slur is selected, you can drag its control points to adjust the start and end points, its placement, and even the curve itself. New Notion "Widget" to quickly access recent scores, or to quickly setup a simple score. To add, just swipe right over your device's Home screen, Lock screen, or Notification Centre, tap 'Edit' and select Notion. New "Send To..." feature, to share exported files from Notion with other apps on the same device. Go to export, select required file format, and then tap "Send To..."
Updated Chorus and Organ sounds - go to 'Sounds' and swipe left to remove the old versions. Then re-download the sound by tapping on the cloud icon. When writing into a part that is linked to tablature, use the same tab logic as for standard note entry and preserve any existing tab strings. Fix for when writing into a measure that already has an existing dotted chord, it’d become double-dotted. Fix for occasionally not being able to scroll to the bottom of a score. If language is set to Spanish, then load Spanish feedback page. If writing ledger lines, or adding any other items that fall outside the normal staff boundaries, then Notion will add them to the correct staff - either by way of attachment (e.g. stems) or following previously entered items. Now you can use your handwriting directly in the score area - tap the pen icon to go into handwriting mode (Handwriting recognition is an in-app purchase, for iPad). Split View and Slide Over (on compatible iPads only). When in Split View, slide out the full Notion toolbar from the left of the screen. Fix not able to hand-scribble out expressions like down bows and accents. -Update of all instrument sounds - if you are having any playback issues when a specific instrument is playing, go to the Sounds menu, find the instrument, swipe left, tap Remove and then tap the cloud icon to re-download. Flute and Double bass section sounds will automatically be replaced if you have them installed. - Sounds menu, to manage which sounds are on device, and which are kept in the cloud. The initial app download contains piano - go to Sounds menu to then choose which sounds you want on the device. - Press and hold to rename/duplicate scores on home screen. - Better initial zoom when loading a score. - Add chord summary score option. - Add Long Drum and Whistling to the percussion bundle. - Add some missing or incorrect instrument images. - Purchased percussion bundle instruments not displaying in Score Setup after quitting and re-launching Notion. New languages: Spanish, Mexican Spanish, French, Canadian French. Fixes and enhancements for iOS 7. - Use iTunes file sharing to import MIDI files and MusicXML files. - Improved default note-spelling when entering notes using the on-screen instruments or external MIDI devices. - Add Tweak Dynamics to the Tools section of the contextual menu. - Add more tonic options when adding a key signature. - New index for faster file browsing on the home screen. 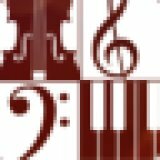 Fix a bug where double-tapping on tempo markings in order to edit them was not working properly. • Tap on a selected score item to bring up a contextual menu for that item (e.g., select a note, then tap on the selected note to view the context menu). • View, edit, and print individual dynamic parts (in the view menu). • Parts Settings for customizing the look of individual parts, including multi-measure rests. • View and edit your score in continuous view (in the view menu). • Other new view options: Show Hidden Items, Show Voice Colors, Hide Cuts, and Hide Resting Staves. 1. Choose the slur tool from the articulations section of the palette. 2. Tap once on the note where you want the slur to start (it helps to zoom in first). 3. Tap once on the note where you want the slur to end. • Improved chord symbol entry. - Enter notes and rests on the staff with your finger or stylus - after engaging the new pencil tool on the palette, notes are entered on the staff when tapping where you want to enter notes. - Transpose, double tap a measure, make your selection, and press Transpose. Notion will transpose notes, chord symbols and diagrams and optionally, key signatures. - Fill score with rests feature - double tap a measure, select a region or whole score, and tap 'Fill with Rests' to complete your score for printing or sharing. - Show more than two measures per system. - Print to AirPrint-enabled printers (accessed via the export button in the toolbar). - Switch between iPad view (optimized for editing on the iPad) and Print view (how your music will look when printed or when exported as a PDF) using the Switch View command, accessed via the Gear button in the toolbar. - Customize the look of your score using the new Print Settings and iPad View Settings, accessed via the Gear button in the toolbar. - Allow entering notes on a guitar staff using the piano, and allow using the fretboard to enter notes on non-guitar staves. - Press and hold in a measure to make it a pickup measure or a partial measure. - Stereo meters on the mixer. - Fix a bug related to grace notes. - Add panning controls to the mixer. - Support for retina display. - New Feature: Record real-time MIDI input into your score. - New Audition Mode: Use the on-screen virtual instruments to hear sounds before entering them into your score. - Upload WAV and AAC files to SoundCloud. - Fix a bug where the instrument settings for a guitar part would always show the default settings. - In the Help Viewer, enable the forward, back, and home buttons. - New Feature: Step-time entry using external MIDI devices. - New Feature: Export WAV and AAC files. - Fix not able to enter slurs, hairpins, and other items across systems. - Fix not able to enter grace notes. - Fix score scrolling to the top when adding measures. - Fix not able to use selection tool with the Speak Selection system setting turned on. - Fix a crash that could happen when emailing a MIDI file. - Resolve an issue where, after entering a rest, the user could not enter notes via the on-screen piano. - Resolve an issue where the on-screen piano would scoll unexpectedly. - Resolve an issue where notes could not be entered for certain percussion instruments. - Add ability to add breath marks to the score. - Enable entering guitar chord diagrams. -bug fixes for midi import.